Snow Day! - Nekaro & Co. It's officially SNOW DAY #1 here in western Kentucky. We have basically a half inch of snow on the ground. I know for you Northerners this sounds crazy, but we take our tiny snowfall amounts VERY seriously. I made my required trip to the grocery to purchase supplies for the forthcoming blizzard. Most important item? TOILET PAPER! Check!! Then I sat in my yoga pants and a hoodie for the whole weekend! I'm a rebel. A lazy, lazy rebel. I was able to finish up a couple of knitting projects that I had going though! 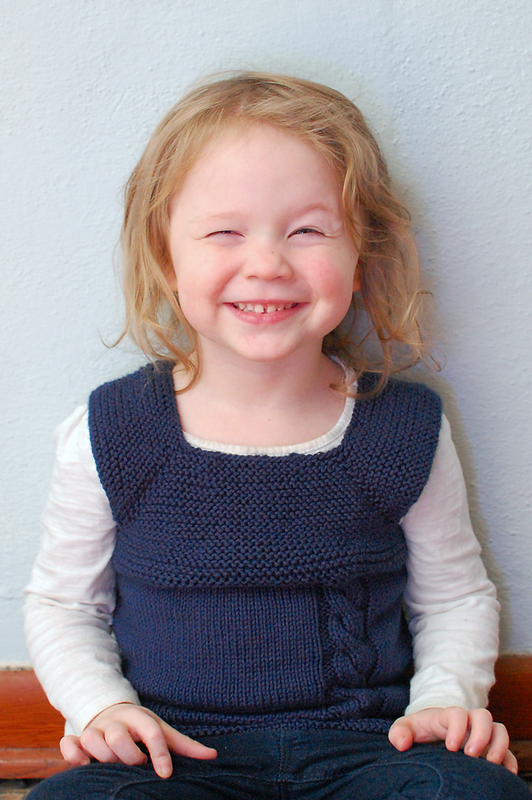 I bought the Milo vest pattern from Tikki Knits waaaay back in 2013 and have kept putting it off because it's knit completely in the round. I hope that after I have been knitting for a few years, my fear and difficulty with the beginning of rounds will go away. Of course, I had a little bit of trouble at first, had to frog and start over. Now that it is done, I absolutely love it! I've never knit anything with a cable and it was easier than expected (I did chose what I thought was the easiest one though) and love the way it turned out! 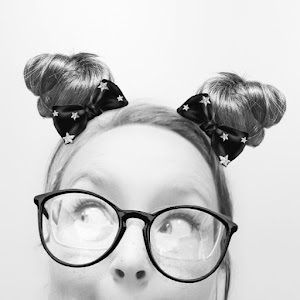 Funny girl with her crazy faces! 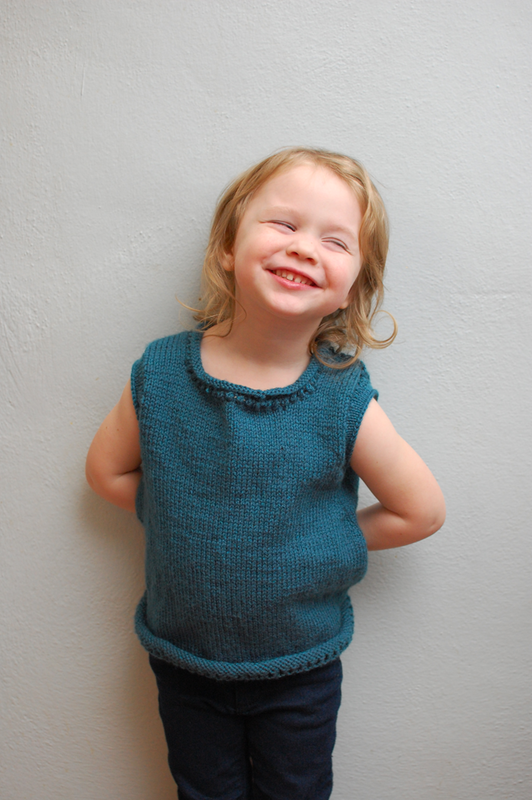 The second finished project is the Margot & Iris Tunic by Fawn Pea. I actually started this project back in September. I got bored with it and it sat in a bag for a month. I used a 100% acrylic yarn for it and I should have used something with a little (or A LOT) of cotton instead. 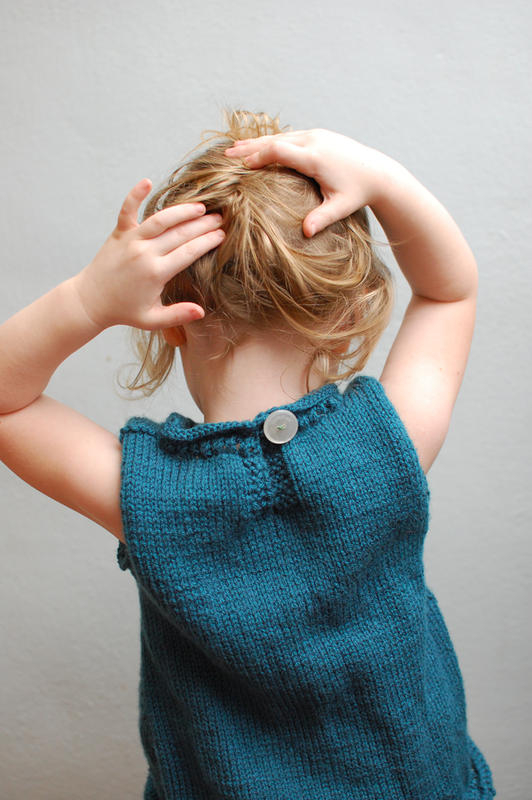 I've never blocked a project before, but this one really needs it. Except everything I've read says to not block acrylic yarn because it will mess up the garment. AHHH! I haz the confusion. As you can see from the above photo the bottom garter stitch edge is rolling up pretty badly. To the point where you can't see the pretty decorative stitching! And the arms.... I would definitely do them differently next time by adding more rows between the body and the decorative rows and them make them a bit longer as well. Those turned out so cute! Of course, it helps that you have such an adorable little model! She does make them look so much cuter! Thanks! Oh my gosh though, so cute! I wonder if you sewed a little cotton behind the bottom seam if it'd stop the rolling? Regardless, you are amazing. 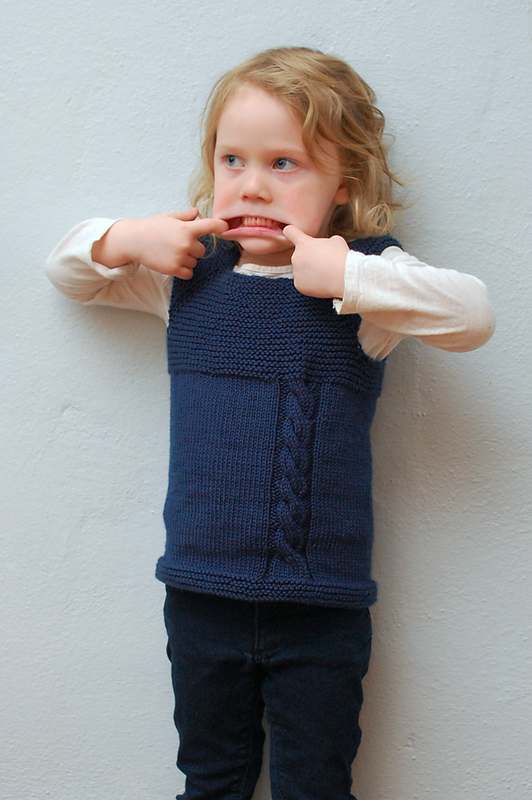 And have a darling model! Thank you! I never thought about doing that, but I'll try whatever I need to I guess!